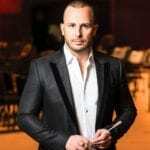 As he prepares to conduct his first performances as Music Director of the Metropolitan Opera next month (Michael Mayer’s new La traviata with Diana Damrau and Juan Diego Flórez), we look back at this interview with Yannick Nézet-Séguin in which he spoke about his journey to the Met and what he hopes to achieve as Music Director with Senior Artist Manager Rupert Chandler. The interview first appeared in the inaugural edition of The Green Room, Askonas Holt’s magazine. Read the full magazine here. Rupert Chandler: Let’s start with a broad question: how do you feel about your role and mission as a conductor? Yannick Nézet-Séguin: I guess I always feel that I’ve done my job right if the musicians are happy and able to give their best. We have to remember that we are there to give some beauty or comfort back to the world, and as a conductor you’re there to give this to those you conduct, so they in turn can offer it to the audience. Part of my role at the helm of such a large organisation is to be someone who can be there through healing times for musicians and staff, always through music and not being afraid to share my true love of music. The conductor can sometimes forget this with so many things to consider. When this happens, you see a person in front of the orchestra who is somehow detached, like a school master; even as a young person, if you forget to show this commitment then it is much less engaging. I just try to be as honest as I can; if I love a moment then I will show it and share it. Which in return will probably help the musicians remember why they do this, and create a more engaging experience for the audience. I am going to the Met determined not to change who I am. Of course, it seems like a given, but I think that leading up to the moment of taking the reins right away, some of my fears were based on it being such a big organisation with so many pressures and influences. But then I stepped back to reflect on the fact that I was chosen because of who I am and not because of what I could become; and this has become a kind of motto for me. Looking back at your journey and all your experience, what are some of your thoughts around this; and does the Met appointment represent a goal for you? I think that not many people know I wasn’t really interested in opera in my early student years as a conductor; as a teenager I was more focused on symphonic repertoire. Then I made a few trips to NYC and saw a few operas which made a huge impact on me. I then became much more engaged in opera when I was asked to become the Chorus Master at Opéra de Montréal in 1998 – something not part of my original plan. Once I became more closely involved, I found a more direct link to my background of vocal music and choral conducting, and it quickly became something very important to look forward to. You might remember that when we started working together five years later, we had to consciously keep the opera at bay for a while. [RC: I do!] Purely due to the time-consuming aspect of it. We were very careful, and I think successful, in always keeping some opera but not too much, so that I could still develop symphonically. By the time of my Met debut, around six years later, I had conducted opera in Salzburg and Toronto, but not yet at Covent Garden or La Scala. It’s almost too beautiful to be true – and sometimes I think it’s unbelievable. To have a dream, ‘yes one day I am going to be there’, and then actually end up being there. I hope this is an inspiration for every young musician, to know that if you have a dream, it really can happen. But the journey had several stages – I first arrived at the Met having already established a solid background as an assistant in opera, and already experienced as a symphonic conductor with a certain authority in front of an orchestra. The choice of Carmen for my Met debut was maybe slightly safe because of the language. With opera, language always seems to be so important; for example, if you’re a French speaker you should conduct French repertoire. The choice of Don Carlo as my second title was deliberate; Italian coming after the French was I think a good idea. Then the Netherlands Opera came into my life and I think that as much as I felt so good at the Met from the beginning, I understood that to travel the distance between being comfortable there for one production and trying to fulfil the dream of eventually being at the helm of an opera house, I needed to gain more experience, and an understanding how other houses worked through a variety of repertoire. This very fine balance between symphonic and operatic conducting was for me very healthy. Though I think it’s important to add that such a balance doesn’t have to be for everyone; just that it was significant for me. Although I do have a strong opinion that a conductor should first be operatic, and then symphonic by extension. This is kind of an old-fashioned idea… Symphonic conducting without any real concept of phrasing or breathing, or which feels too safe and overly calculated can sometimes destroy music making! In opera you are dealing with anything that can conceivably happen because it is a human voice, which is not the same from one day to the other, nor even from one act to the next. And certainly no two singers are the same. It forces you to be in the moment, one half of yourself listening and the other half leading. And that is basically chamber music, just on a different and exploded scale. I’ve always been attracted, in both operatic and concert repertoire, to the big stuff! I remember when my Rotterdam Philharmonic saw me conduct Turandot, they were fascinated at the children’s chorus, the main chorus, the backstage people, and the big orchestra, and that I seemed to be so at ease will all these elements – probably thanks to my years of choral training. The responsibility of the job at the Met is not purely musical and fortunately, for 25 years (over half of my life), I have been the Artistic Director of something. At 18 I was already the MD of two large choruses which, although not professional, required me to be involved with the Board, to understand what it is to sell a concert, to programme a season, to programme rehearsals, to have an assistant. At 20 I founded La Chapelle de Montréal which was small but had a concert season with subscription series: we had to rent a hall, rehearsal spaces, order the music, copy the bowings and so on. Not for a moment forgetting being Music Director of my Orchestre Métropolitain for 20 years, Rotterdam Philharmonic for ten, and now The Philadelphia Orchestra for seven. The happy result is that I am not at all overwhelmed by the task ahead of me – everything at the Met is familiar, just bigger! And it is just wonderful timing, this opportunity at this point in your career, because you are ready. Indeed. The saying ‘right place at the right time’ comes to mind. Of course, five years ago I wouldn’t have felt ready but now I feel that I have a good base of experience, yet am still in my early prime, with enough youth and energy to undertake it all. So yes, I think it comes at an ideal time. What are some of the challenges you look forward to and expect, and the vision that you will bring to this great institution? The first and most direct connection as a Music Director of either an opera house or an orchestra is the same – the orchestra itself. The Met orchestra is an amazing group and I am not even biased when I say that in many ways this is the best opera orchestra in the world. So, I first have to keep this and maintain that level. But maintaining a level doesn’t only mean making sure it’s tidy and nice; it means working to improve it. I am not arrogantly claiming that I will make the orchestra better – I don’t have that pretention – but that I need to work it in detail and yes, there are several points on which I want to work: sound, ensemble, flexibility. This is what we all do as conductors with each ensemble. When I arrived in Philadelphia the level of the playing was already amazing, and I feel I kept that level, but to do that we had to work hard and in great detail! It’s like everything in life, if you don’t try to make something better it actually goes downhill. At the same time, how can you be truly spontaneous in the service of the music without having rehearsed properly? In the mind of many people there is an opposition between rehearsing things and being spontaneous. I believe that one cannot go without the other. Of course, if something is rehearsed to the point where all details are so fixed that nothing can change, this is a killer in opera, because it doesn’t allow performances of a run to live. At the same time, how can you be truly spontaneous in the service of the music without having rehearsed properly? So, rehearsals and details are important for me because they set certain parameters; like a kind of fence, in the middle of which is a field where you can play. If you have no fence it is just chaos! Looking to the challenges ahead, the Met orchestra has a lot of new younger musicians who have been appointed in the past five years or so, and are really thirsty. Not to be told how to play because they play beautifully but just to hear from me, “colleagues, this is what we’re going to, this is what we aim for”. Half-jokingly in rehearsals I will say “from now on (at least until 2025!) when you see this, that is going to mean this”. And they smile because the Met produces such a large volume of performances for which guest conductors may have very limited time to fix or change things – the sense of style and the collective knowledge of how to play something become even more important. Another challenge for me will be to revisit our bel canto style, our Mozart style, our German style, our Russian style, our Verdi… to take time to pause a little bit and just re-set things. None of this is to say the orchestra will stop being flexible; on the contrary, there just needs to be a greater sense of direction. Much more generally, the challenge ahead is to develop the same sense of purpose in terms of why we are playing opera at all. I feel the Met bears the responsibility of being the standard-bearer in our world of opera, at every level, in every repertoire and in every style. In that sense I will craft the artistic decisions – meaning which productions, which kind of repertoire – with Peter Gelb. This is an ongoing conversation, and we will build the artistic strategy and vision together. Alongside this, I strongly believe that in order to achieve this, we will also have to broaden our repertoire. It is not a question of drastic change; in the same way I still do Beethoven Symphonies with Philadelphia we will still do Verdi, Wagner, Puccini etc, and it remain very important. But I also think that there is a place for new operas, commissions, world premieres; operas that we could stage in different spaces but still as the Met; tours with the orchestra and – let’s dream! – the whole company once again. I feel it’s also important to have more community-oriented projects. In my view, being an international institution must go hand in hand with being really close to the people who surround you, in our case the residents of New York. This belief will inform all the projects that we are crafting for the coming years. My personal challenge over the next couple of years will be taking up the full responsibilities of my role; conducting three operas and two concerts while knowing that will rise to five or six titles each season. I firmly believe that in this digital age, with so many ways of communicating and reaching out with our work, and with my physical presence never far away in Philadelphia and Montreal, this will be achievable. 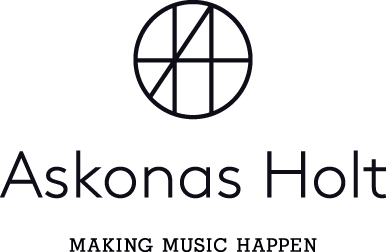 Rupert Chandler is a Senior Artist Manager at Askonas Holt. Following post-graduate studies in piano accompaniment, Rupert joined Askonas Holt in 1999, and represents conductors and instrumentalists. He and Rona Eastwood have worked with Yannick since late 2003. This interview first appeared in the inaugural edition of The Green Room, Askonas Holt’s magazine. Read the full magazine here.